I'm back with a SneakHer Style Tip just in time for the winter season. Let's talk about what's keeping you warm lately? I'm from Chicago and the weather has been unpredictable and we've recently gotten a ton of snow and I had to pull out a few of my favorite coats to keep me warm and cute. I also want to make sure that you stay warm and fabulous too! Let's get into it. CNK recently dropped our second editorial and we focused on styling winter wear with our kicks during the colder months but one of the main pieces that took the looks to the next level were the coats. If you think about it, it's really the first piece of clothing someone sees on you soon as you step into the spot. I think you should have at least three jackets/coats on hand: the puffer jacket, the faux fur and a longline coat. We'll talk about leather jackets and denim jackets another day ladies. The return of the puffer jacket has been back in full effect for a couple of years now and I can’t see use getting away from this practical jacket anytime soon. The puffer jacket is the perfect mix of style, warmth and versatility. The jacket was created out of function and not necessarily fashion but we saw a lot of its influence on the 90’s Hip-Hop who wore the First Down jacket quite often. We now see this style of jacket being created by luxury brands and coming in quite a few fabrics like metallic, velvet, long-line and oversized. 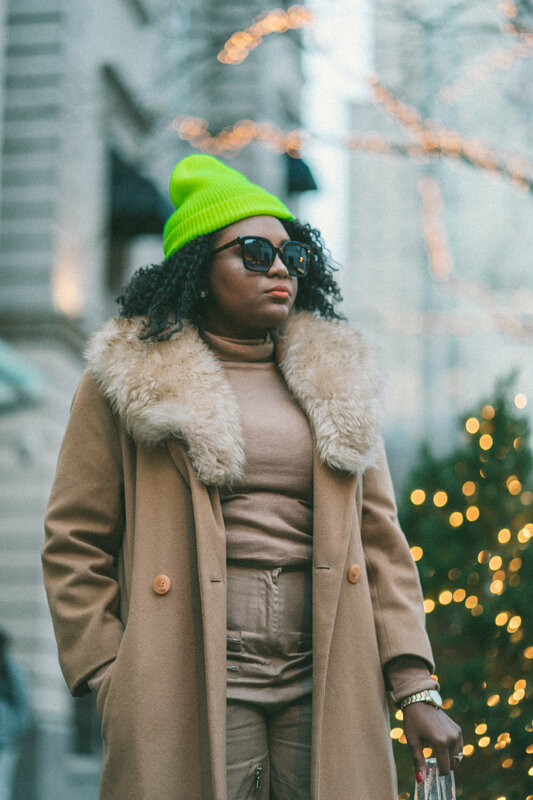 We think everyone should have a puffer jacket in their closet because you can style it with literally anything from jeans to joggers, jumpsuits and more. Throw on your timbs, sneakers or heeled booties. It all works. When you want to be animal friendly but still fabulous you grab a faux fur coat. 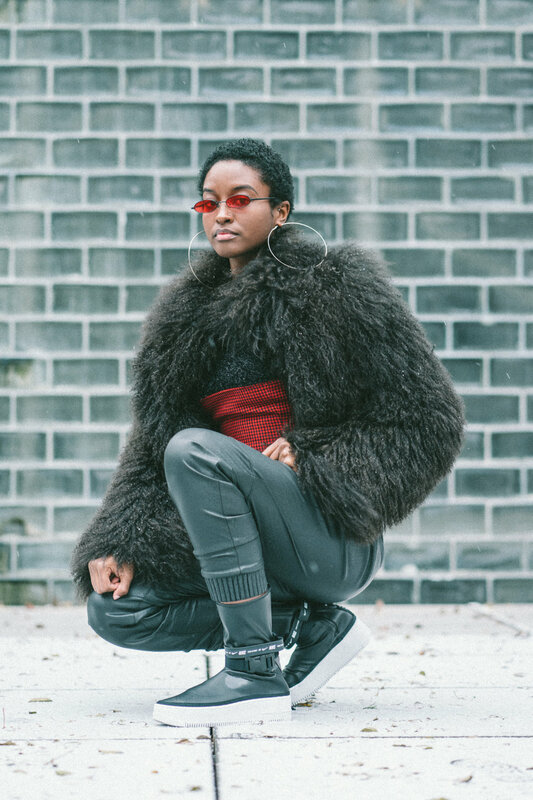 It’s necessary that you have one of these because they can easily take any outfit up a notch In our last editorial we paired a cropped black faux fur coat with leather joggers and a corset. You can create several looks with a coat like this and can even layer it with a denim jacket underneath too. It’s one of those coats that make things look effortless and it comes in many colors, textures, lengths and cuts. I recommend getting an all black one coat because it will go with everything. But do you girl, we’re not judging your bright red fur either. This one is an absolute winter staple. A longline coat is needed if you live in any cold climate and this is not up for debate, okay? This coat is probably the most needed out of the bunch because you can dress this up or down. It also comes in a variety of prints, colors and styles. I usually would opt for this type of coat in tan, brown, black or grey. But there are some beautiful shades of light blue, pink and emerald greens that look amazing. These are good for layering with turtlenecks and other winter essentials such as a scarf. You can’t go wrong with a coat like this because it will last you several winters to come. 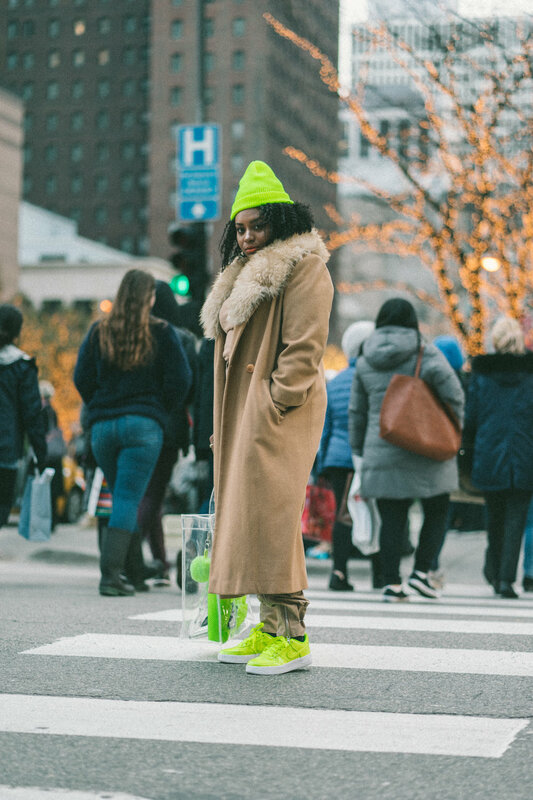 Let us know what you’ve been rocking to keep you warm this winter season on our Instagram. Are you the puffer jacket, faux fur or longline coat type of chick?